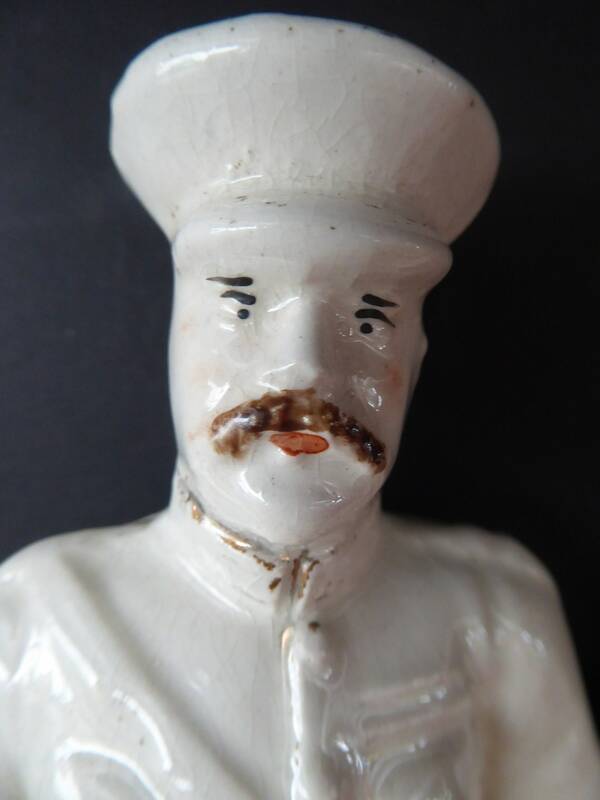 This is an interesting late 19th Century figurine. 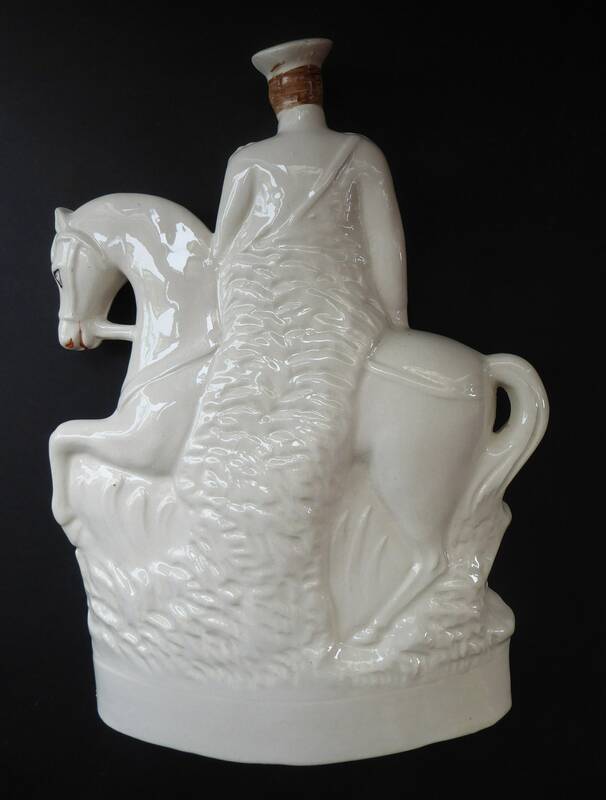 It is a slip cast model and made in Staffordshire about 1899 / early 1900s. 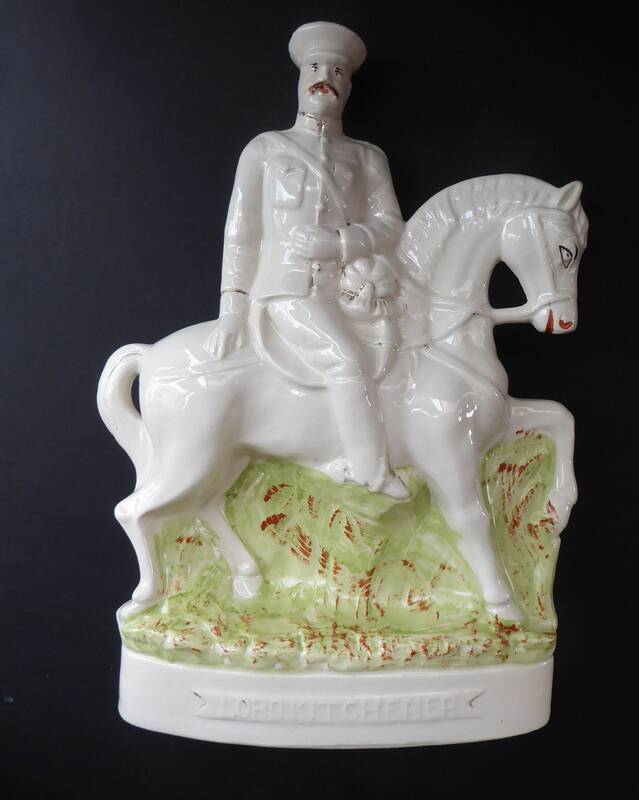 The figurine shows the Boer War leader (and WWI campaigner) Lord Kitchener - as annotated on the base of the figure. 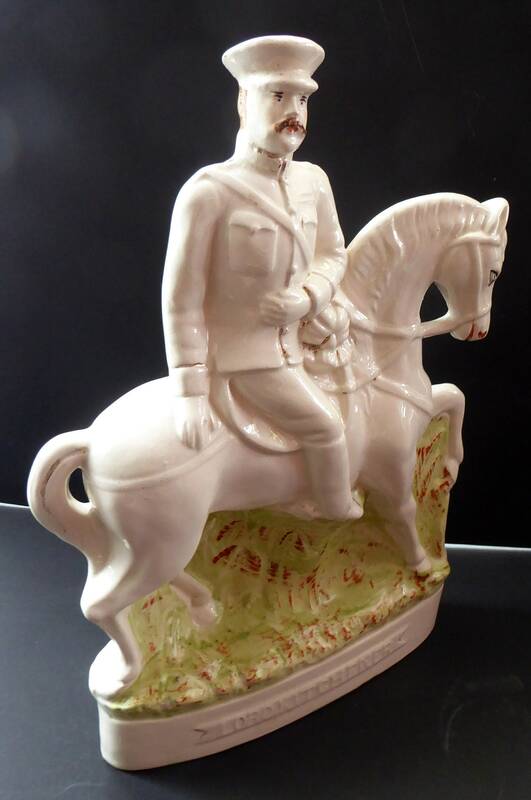 He is shown on his horse and in his uniform. 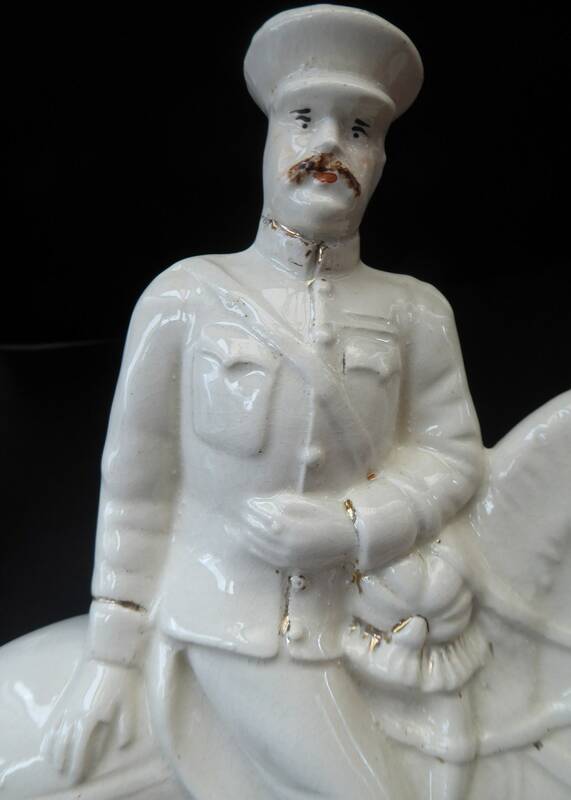 The figure is made of a cream colour ceramic - with is highlighted here and there with gold gilt. 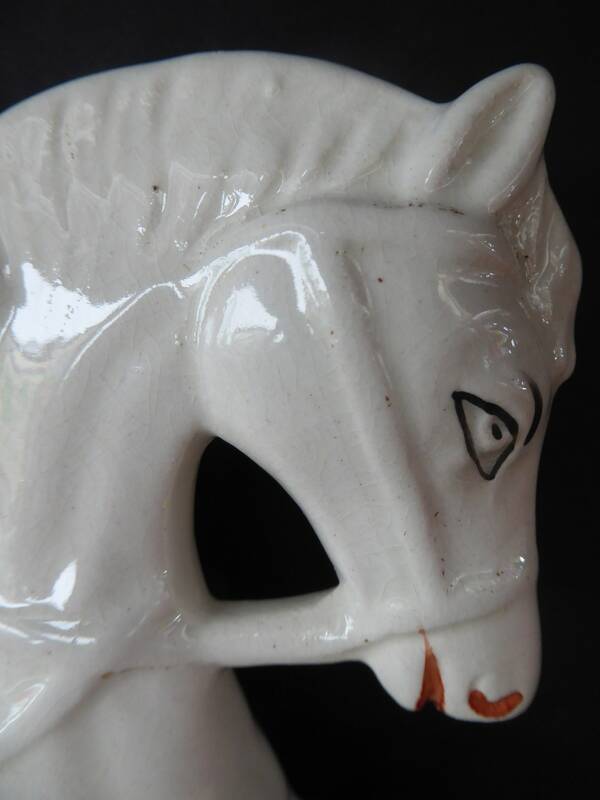 The horse's eye and mouth have been painted and the grassy bank behind the horse has been painted in with brown and brown glazes. 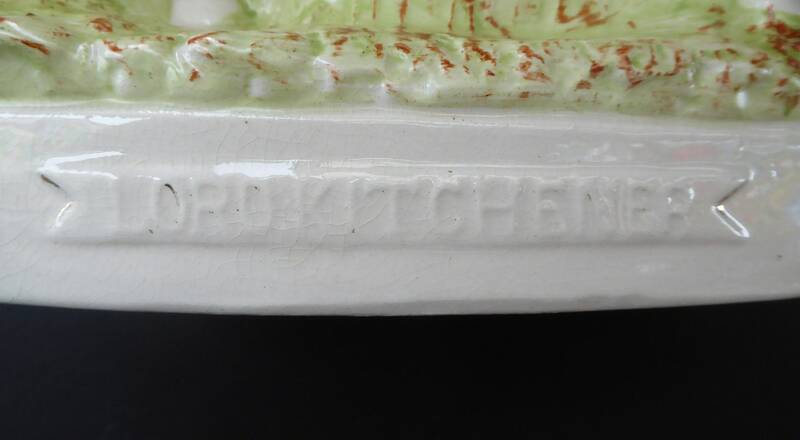 It is a nice large size just under 12 inches in height - and about 8 inches wide. 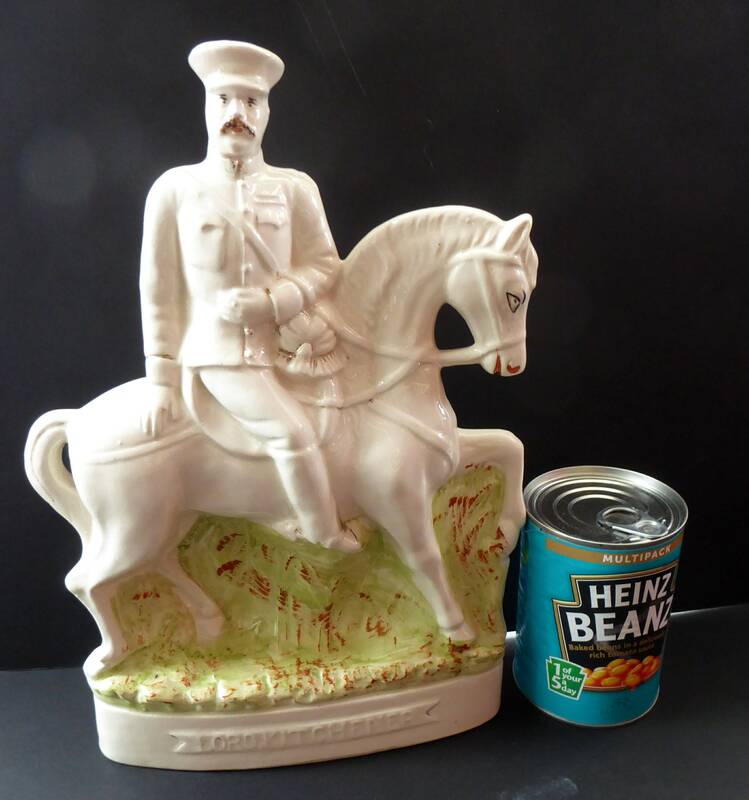 The figurine is a genuine antique example - and certainly NOT a modern reproduction. 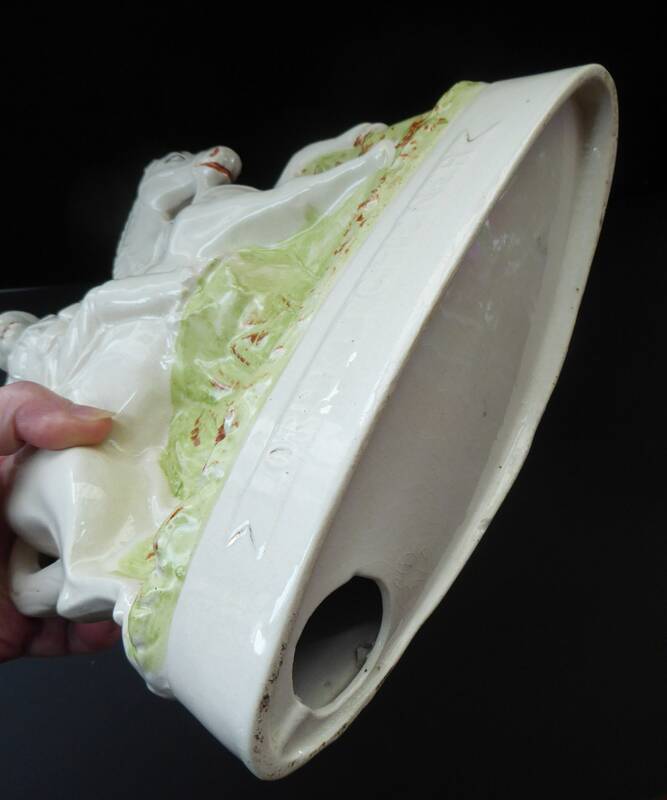 It is in excellent antique condition with no damages. 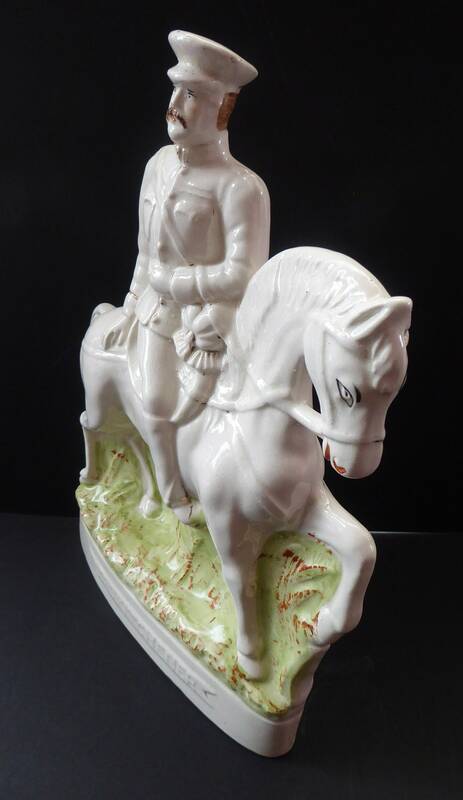 The figure is often paired with a pendant figurine showing General French on horseback - and good clean examples I have seen on offer for around $850 the pair - so my one is certainly listed at a fair price given he is in pristine condition - you often find damage to the neck on this piece.